Leading medical device manufacturer Zimmer Biomet has recalled the Comprehensive Reverse Shoulder, a device implanted to restore arm movement. The FDA put out a Class 1 Recall, the most serious recall issued when devices can cause injury or possible death. They have recalled 3,662 devices manufactured between August 25, 2008 to September 27, 2011 and distributed between October 2008 and September 2015. All lots with part number 115340 have been affected by the recall. Read here for a full list of lot numbers. Patients who have received total shoulder replacements as well as health care providers using this device during reverse shoulder replacement surgeries are potentially affected by this recall. The devices have been recalled because they were shown to fracture at a much higher rate than described on the labeling. 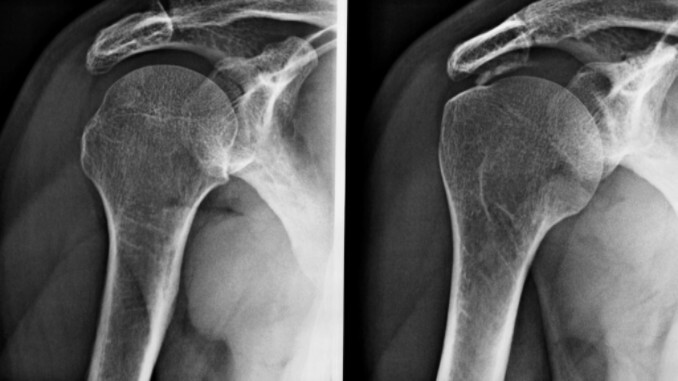 During revision surgery, a fracture could result in serious health issues such as an infection, permanent loss of shoulder function or even death. Identify and quarantine any affected devices in stock. The Zimmer Biomet sales representative will remove the affected device from the facility. Complete and return the Certificate of Acknowledgement form within 3 days via email to postmarket@zimmerbiomet.com. Retain a copy of the Certificate of Acknowledgement form for records in the event of a compliance audit. If you or someone you know has been affected by this medical device, contact a skilled Tennessee defective medical device attorney at Gilreath & Associates to help you receive the proper compensation you deserve.